Join with your co-workers to help give Boston's Seaport district and adjacent areas a thorough spring cleaning! 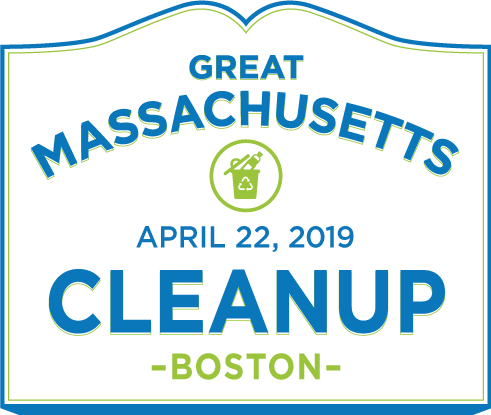 Teams of volunteers from several Boston-area companies will fan out to collect and remove litter and debris that has accumulated over the winter months. 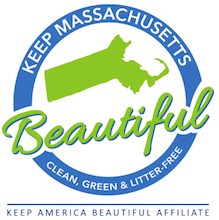 Keep Massachusetts Beautiful will provide trash bags, gloves, and trash grabber tools. Participating companies include LogMeIn, Pernod Ricard, PTC, Trip Advisor, Veolia, Endurance, Dell Technologies, SunRun and AppFolio. Volunteers will meet at the LogMeIn cafe at 320 Summer Street starting at 12:30 p.m. on April 22. The event kicks off at 1 p.m. We will break up each company's volunteers into teams of 6 and assign them a cleanup route. Volunteers should be able to walk 2-3 miles. Customized corporate tee shirts are available at a cost of $10 each. Orders must be placed by no later than Wednesday, April 3. Corporate volunteers are also free to wear their own company-branded garb. At the conclusion of this event, join Absolut, Planet Earth’s Favorite Vodka, for a Sustainable Happy Hour at Lucky’s Lounge in Seaport. Sample some tasty and refreshing cocktail features inspired by Earth Day, courtesy of Absolut! To sign up your company, please click the link below and let us know how many volunteers you expect to have. Please note: There is a $500 corporate engagement fee to participate in this event. Participation is limited to 30 people per company (with some flexibility). This fee can be paid online by selecting the donate button in the upper right-hand corner of this page. We also accept checks payable to Keep Massachusetts Beautiful. Questions? See contact information below.